Lipoway is a dietary supplement which claims to curb appetite , reduce cravings, and ultimately lead to weight loss. This is done through the inclusion of natural, non-digestible dietary fiber which allegedly helps to regulate the digestive tract and keep it healthy. Research findings support the claims about both the weight loss and the increased health due to the dietary fiber found in Lipoway. Micro Nutra labels the active ingredient in Lipoway as Lipowatricol (a blend of konjac root fiber). In reality, it is the well-known glucomannan (DPR reviewed Glucomannan in depth), which has been widely used in Japan for many years. It is a 100% natural dietary fiber. 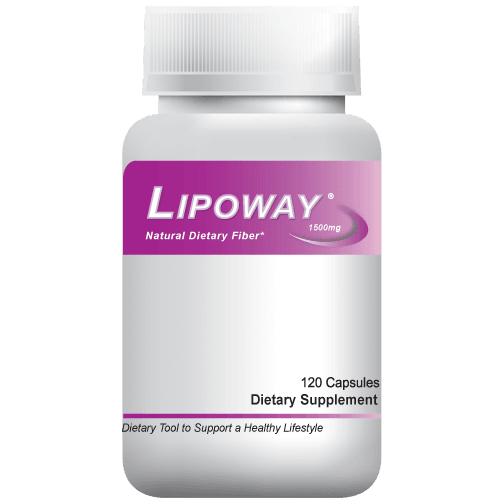 Does Lipoway contain other ingredients? If they do, they dont disclose them. They dont even disclose that their active ingredient given a fancy name tosound fancy is just glucomannan. Each Lipoway capsule is 800 milligrams, with two capsules recommended daily. Unfortunately, the study cited above was using 1-g doses at each of three meals each day 3000 mg of glucomannan verses Lipoways 1600 mg daily recommendation. Therefore, it should yield weight loss results similar to those listed above. The other quandry we have with Lipoway, which is almost there with their formulation it seems, is that they also include other ingredients. If you wanted to take Lipoway to mimic these actual study results, youd need to probably take 4 capsules daily, not two. This is under the assumption that Lipoway contained 300 mg of other ingredients (which again, they dont disclose). In Lipoways marketing material they say that a serving of Lipoway costs less than a cup of coffee. They probably should have said something like, but youll need to drink coffee four times per day for our comparison to hold water. (No pun intended on the holding water thing, see how Glucomannan works below). According to the Micro Nutra website, The Konjac root fiber, when combined with water, becomes a thick appetite suppressing gel in your stomach. This gel is virtually calorie-free, totally safe, and helps you reduce your caloric intake without feeling hungry! So the theory goes that by reducing the appetite and desire for food, you are less likely to eat, and therefore more likely to lose weight. Micro Nutra also makes it clear that the results in weight loss are greater when Lipoway is combined with exercise and healthy eating. In other words, you still have to be careful about what you eat; Lipoway is not a free pass to unconditional weight loss. Most diet pill companies will provide this kind of caveat if anything to temper their claims a little bit. Lipoway offers a 90-day full money back guarantee. According to the Micro Nutra company website, the guarantee is good Literally right up to the last minute of the 90th day, period! If you dig into their return policy (effective April 1, 2008 and at the time of this writing), it turns out that its not quite as straightforward as the phrasing of their 90-day guarantee. They do not accept returns less than 30 days past the order date. Their explanation is that they want their customers to try it for at least 30 days. The real reason is that in marketing, especially internet-based marketing, the likelihood of someone returning a product to claim a moneyback guarantee after 30 days is significantly less than when the product can be returned immediately. You’re required to receive a return authorization for Lipoway, which means you need to deal with the back and forth associated with that. Weve spoken with several companies and we much prefer the return authorization to not be required as long as the customer includes their packing slip or some other identification to tie the package with the original order. One thing we do like about their guarantee is that theyll allow you to return up to one opened bottle. Most companies wont allow you to return opened bottles. Its unfortunate they counteract this good deed with the lame maximum 30-day trial period before returns are authorized. Micro Nutra wants the customer to believe that Lipoway is a new, completely different product. What they fail to mention is that their secret ingredient is used in many other diet supplements. Micro Nutra also boasts that Lipoway is manufactured in an FDA-approved facility. Again, they fail to disclose that the FDA does actually not approve any diet supplements. 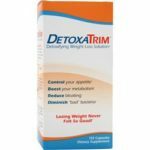 However, as is fairly common with diet pill companies, Micro Nutra is sure to explain in several places on their website that Lipoway works best when combined with proper nutrition and exercise. This is not one of those supplements that promises immediate results with no effort. Instead, Lipoway is guaranteed (see above about their guarantee) to provide gradual weight loss as well as increased digestive and overall health. 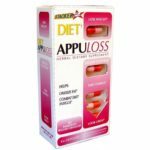 Lipoway is likely an average weight loss supplement when combined with proper diet and exercise. We like that it is all natural, with no side effects. 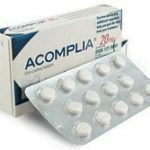 What we don’t like is the fact that you have to double the recommended dosage to get the true clinical effect of glucomannan, they don’t disclose any other ingredients which we find extremely disturbing if not downright shady, and their return policy has some red tape that makes it not so consumer-friendly.